Happy Monday! This is Sukie and I have a set of lunch box notes to share today. I thought these would be a fun project idea to slip into lunch boxes with some happy thoughts for the day. To create my note cards I simply ran some papers from the DCWV Watercolor Ombre stack through my Cut 'n' Boss using a shaped die. I stamped the lines onto the die cut to make the writing easier. Next, I chose to cut some veggies with my electronic die cutter for a fun twist to the lunch box notes. 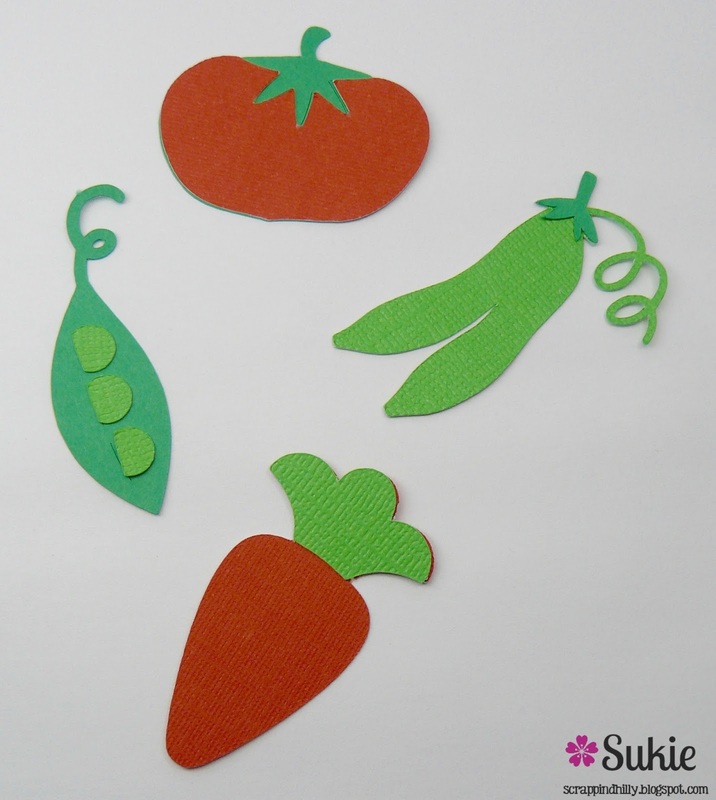 The eBrush was used to add a shaded effect to each of the die cut pieces. 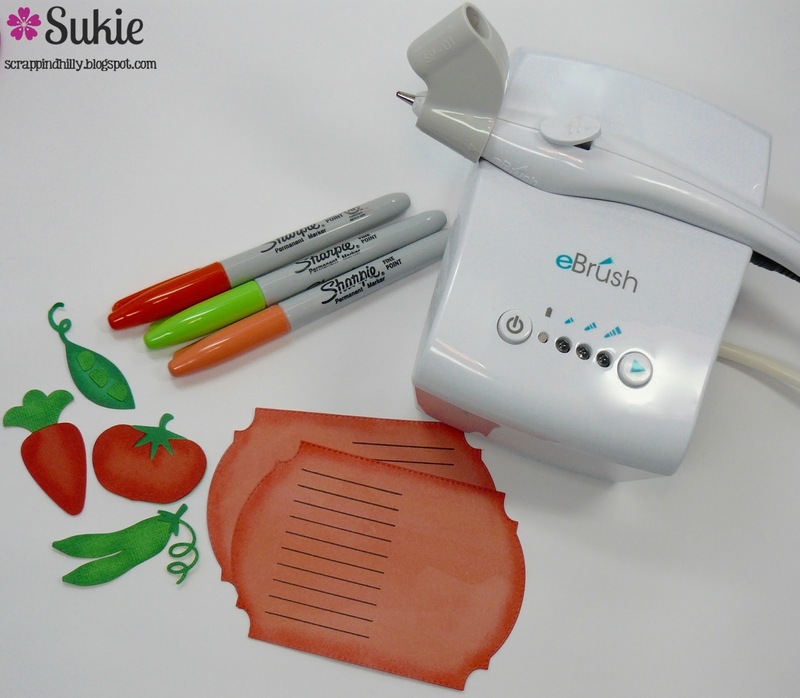 I used my Sharpies in the eBrush to add the perfect amount of depth and dimension to each piece. 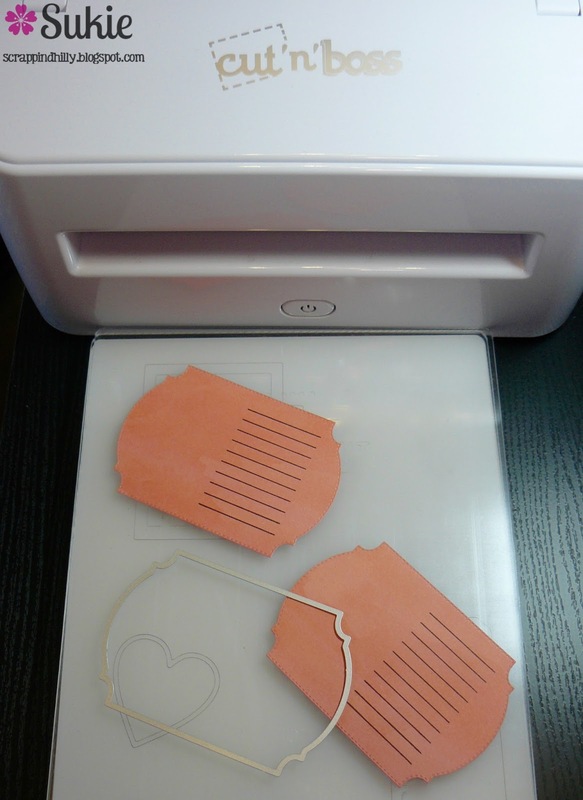 Here is a before and after picture of my die cuts, the transformation is amazing. Just a bit of shading using the eBrush adds so much character to the die cuts.